Harry’s fifth year at Hogwarts differs markedly from his first four years. In previous books, Voldemort was an intangible being to be feared. Now, he has returned to bodily form and Harry must be constantly on the watch to protect himself. One would think the Ministry of Magic would go to great lengths to protect the “Boy Who Lived," but it seems the Ministry has reasons of its own for not wanting the Wizarding World to believe that the Dark Lord has indeed returned. 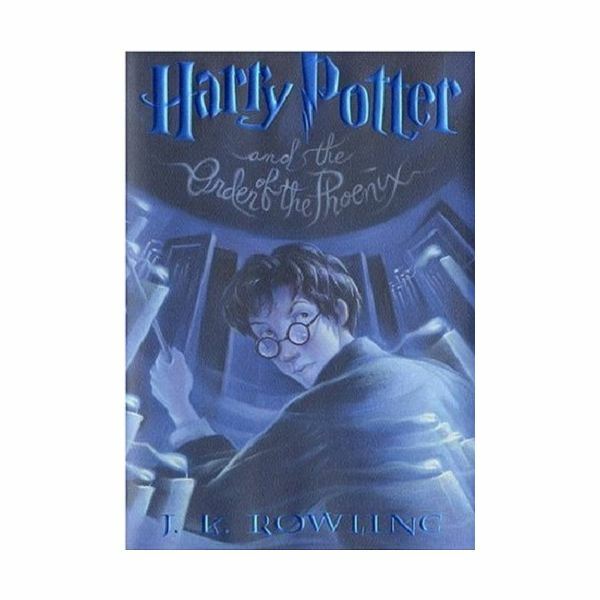 Therefore, this book, by far the darkest yet in the series, explores not only the prophecy about Harry and Voldemort, but also the role politics plays in governing and shaping the beliefs of an entire community. The major theme of this novel is person against authority. It is the Ministry of Magic, as an organization, represented by Dolores Umbridge at the school, who causes the major problems for Harry. She manages to begin her career at Hogwarts as the Defense Against the Dark Arts teacher, although she does not teach defense. She rises to the position of High Inquisitor and has access to all things at Hogwarts, students, teachers, clubs and of course the inner workings of Dumbledore’s office. She finally manages to have Dumbledore removed from power for a time, not because she is a supporter of Voldemort but because she longs for order and knows that conflict between Harry and Voldemort will affect the entire Wizarding World. This novel also gives us another marked loss of a major character: the death of Sirius Black at the hands of Bellatrix Lestrange. It also shows us the full scope of Voldemort’s powers as well as the loyalty of both his followers and Harry’s young supports. Finally, it paints a picture of what happens when government has too much power. It is an excellent teaching tool for 7th grade and higher. Each article in this series covers one book in the Harry Potter collection and includes a PowerPoint download that will serve as a helpful teaching tool.